Should Apple turn the iPhone into a Nintendo Switch? Should Apple News be released for macOS? As I write this post Apple’s stock has hit a new high of $151 per share, and the company is swimming in money. Apple's treasure hoard has topped $250 billion and shows no sign of slowing down. Apple is one of the richest and most successful companies in history. But what about the developers that create the apps in Apple’s iOS App Store? One writer recently considered the idea that Apple has actually done an enormous amount of damage to developers by fostering a race to the bottom in terms of software pricing. One measure of the value of a person’s creative output is what another person is willing to pay for it. Low prices actively court those who place less value on work. That’s not an admonishment; it’s just a simple fact. And no, you can’t balance the price-point and the sales figures to achieve the same income: there are far, far more people who will only buy at $1 (or free, if you’re trying to sell in-app purchases). If you sell at $3 instead, your number of sales will go down by much more than the factor of three that you increased the price by. If your goal is just to make money temporarily (which is up to you), then the race to the bottom — with all its attendant risks, and its environmentally corrosive effect — is probably your best bet. You also need to acknowledge that you’ve marked your work as being essentially worthless, and that it’ll be discarded just as quickly. Your most vocal supporters will turn on you the minute you ask for more money (remember the extra levels for Monument Valley?). They simply won’t value you enough to even consider paying again, because you’ve already taught them that your work isn’t worth it. I agree with some of Matts comments, the iOS App Store is filled with software and much of it is disposable junk. I rarely install new apps these days on my iPhone or iPad Pro. I particularly avoid iOS games since so many of them are simply “freemium” junk. Don’t get me wrong here, I’m not angry at the developers. Most of them are doing what Matt noted in his commentary. They are chasing dollars in the way that Apple wants them to, and that shows in the quality of many of the apps in the App Store. Personally, I have never had a problem paying more for useful or fun software. Nor would I have a problem paying for yearly upgrades or even a subscription (depending on the software). For me it all gets down to value. If a developer provides software that adds value to my life, then I want to support that developer’s business. I don’t mind paying a developer for their time, effort and expertise. This is not just me being nice, there’s also a certain amount of self-interest involved. If the developer has a viable business model then I can rely on him to continue to update his software, and to possibly release other apps that I might find useful. Right now, however, some developers seem to be struggling with how to build a viable and long term business model in the iOS App Store. Thus we see the influx of “freemium” junk games and other apps that make use of that model. Unfortunately for users, the “freemium” model just ends up clouding the waters and encouraging the production of more junk apps. So when you look for a game in the iOS App Store, it becomes difficult to find games that don’t try to nickel and dime you despite being listed as “free” to install. The current "race to the bottom" in the iOS App Store is not serving users or developers well. In fact, it has driven some folks like me away from the App Store since there is so much junk to sift through to find useful or entertaining apps. I spend less now on iOS apps than I ever have, and I go all the way back with iOS to the very first iPhone. Quality matters to me, not quantity. Quality apps are worth paying more for and add real value to the iOS platform. Will some developers eventually abandon iOS? If I were Apple, I’d give some careful thought to the issues raised in Matt’s post. 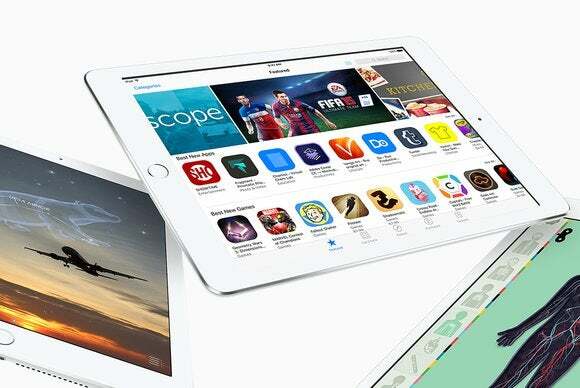 Right now Apple’s iOS platform stands astride the world as the most lucrative mobile platform ever created. But that can change quickly if developers decide that it is no longer financially feasible to develop for iOS devices. Yes, the idea of developers abandoning iOS sounds crazy. But stranger things have happened in the world of tech, and no company stays at the top forever. Sooner or later things change, the wheel turns and the company at the top begins to lose its place and can eventually end up at the bottom. So Apple would do well to consider the viewpoint of developers, and make the changes necessary to insure that they have a viable business model. If Apple doesn't do this then the company might someday see a developer exodus from its iOS platform.